The Omidyar Fellows program gives intensive leadership training to a select group of emerging executives, with the goal of creating a critical mass of leaders with the ability to tackle complex problems facing Hawai‘i. The flame as a symbol of leadership is familiar. In Hawai‘i, the tradition of lighting and bearing torches still plays out in modern-day ceremonies. 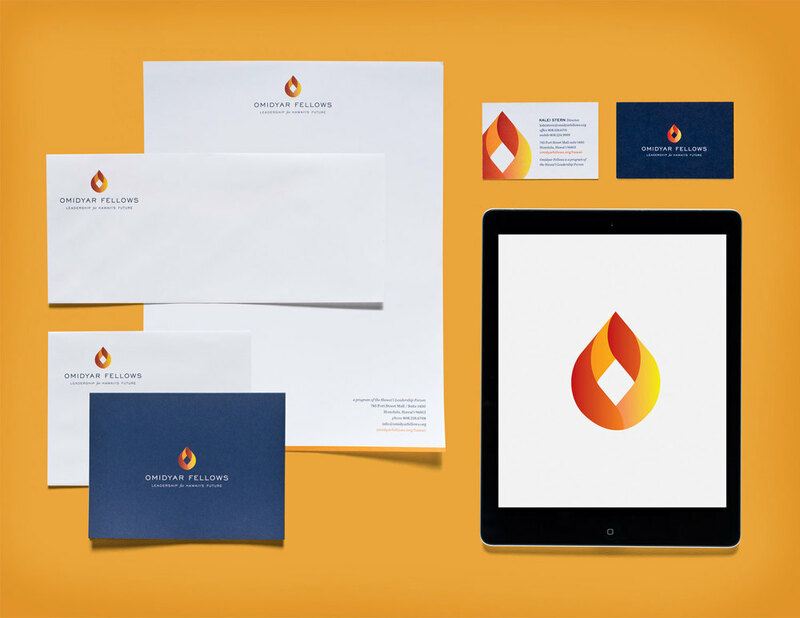 Our logo is a faceted flame which represents the group while the diamond shape represents the lofty goal of a better Hawai‘i and a better world.